I am running a lot these days, and I LOVE it. I am also swimming a lot, which is pretty fun, too. 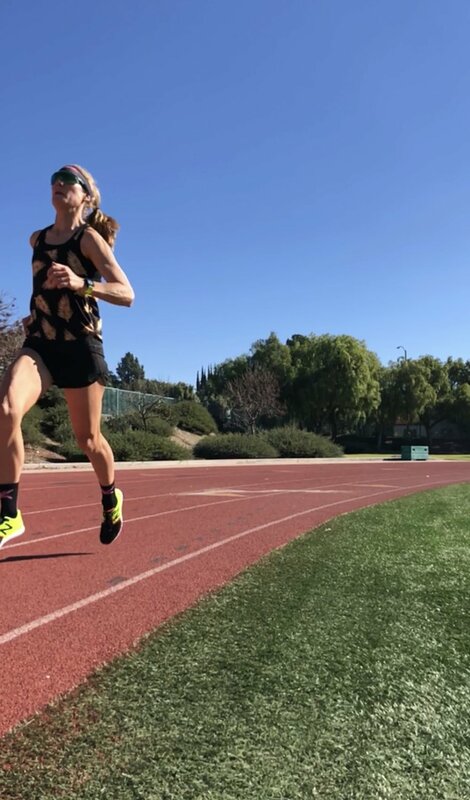 Monday, (yesterday), was a glum day, and I did not have a run on my schedule, but I did have a swim to do, and at about 300 yards into the workout, I felt the weight smothering my heart ease up, and I started to enjoy myself. The stress disappeared, and miracle of all miracles, for once running wasn’t my hero, but its slippery younger sibling swimming was instead. Amazing. The first week of 2019 was awesome, yes, but it clobbered my mightiest muscle. My heart resides outside of my body. It pumps slow and steadily on my sleeve. I put it there, it belongs there, I won't ever tuck it away into a safe, snuggly place, we have too much work to do, but it is vulnerable to the big, wide hostile world and its environment. My guess is that it might've asked for a different body and mind to be attached to if it had a vote back in 1979, but it got me; a person in relentless pursuit of positivity. It has taken a few hits over the years, but it always thumps back stronger than before. I believe in its power and potential, but I do admit that it was put through its paces last week. I pushed it during interval workouts that revved up each beat, but then it slumped down in shame when I failed to follow directions. Repeatedly. I made two silly mistakes on workouts last week that dashed any pride bolstered believing I nailed them. Thankfully, my instinct is to flip the negative to positive, so even though I was embarrassed by those mistakes, (I should know better), I took them in, and resolved to never again allow my excitement to bulldoze common sense. From left, my TeamSFQ teammates and fellow SMOGer's, Terri, Bridget, Jess and yours truly. Photo courtesy of Bridget. On Saturday morning my heart was shocked awake by the surprise of being submerged in frigid ocean water. I felt more alive than I ever have for those fifteen or so minutes I was swimming with my friends and fellow athletes. It was a sensational, yet surprising feeling. I was so proud of my heart, but then sorry that I might have taken advantage of it. It worked so hard to keep me warm. I actually felt heat flow throughout my body like lava. It started from my chest and flowed out to my appendages, traveling the entire distance to my fingertips as they continued to reach and pull through the freezing open water. It was a rush. 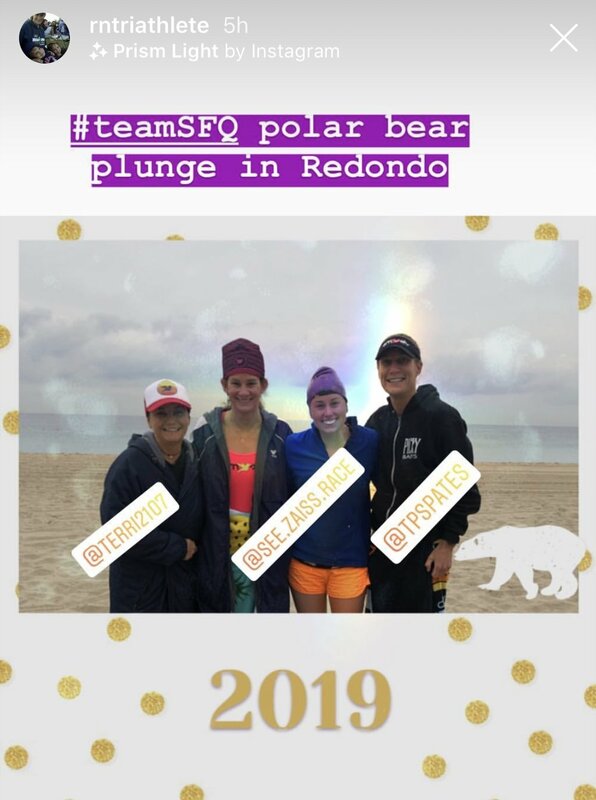 We swam 400-500yard loops around three buoys, and during the second loop, I took in the present moment, I was swimming in the ocean in January without a wetsuit, and was overwhelmed with pride for my sturdy heart. I have put it through so much over the years, but even with a few justified behind my back eye rolls, it always shows up for me. Finally, back to what made Monday such a somber day. It rained, which made for a very romantic and fitting backdrop to watch Marion walk out the door for another long trip to Vancouver. My exhausted heart was pulled and pummeled all week waiting for, and then watching him leave again. He is off to supervise the visual effects for the last few episodes of principle photography for Lost In Space, Season Two. The good news is that we had a wonderful nearly two months together, and once he is back, (mid-late February), he is back for good, working in LA during post production. Also, we are not doing this again. If he has to shoot on location again, on Lost In Space or any other project, I am going with him. Marion with our dogs, Blueberry and Guinness. WE are going with him. I am focused on creating a virtual career, one where I can write, coach, create, and advise from any location that has an internet connection and endless access to pop music. Therefore, my ragged, yet buff heart has just one more long push to endure before reaching the finish line. We are approaching mile 23. In the meantime, I will be running, swimming, riding, writing, shooting, editing, and sharing my daily adventures in this already amazing year with all of you. *Warning* This song and video from the 1975, Love It If We Made It, has explicit lyrics and images, but it is incredible! !